For music fans, New South Wales offers up a plethora of activities that will keep even the fussiest of audiophiles satisfied. Each year over the Easter long weekend, Byron Bay Bluesfest comes to town. For this five-day period, the sleepy coastal town becomes a hub of activity as music fans from across Australia – and the world – converge to listen to what is always an impressive lineup of acts. Every festival boasts some of the biggest names in the blues and roots genre from around the world. The country music capital of Australia, Tamworth is known for its wide variety of entertainment options. The Tamworth Country Music Festival happens in the town every year in late January, giving country lovers a reason to get up and groove. If you can’t make it to the festival, though, the town offers up some music-related activities all year round, including a 12-metre high golden guitar. The feature weighs half a tonne and is a must-see for anyone passing through the region. More traditional music fans will find their groove in Sydney, which is home to some of Australia’s largest classical music ensembles. Venture into the heart of the city to catch the Sydney Symphony Orchestra or The Australian Brandenburg Orchestra, as well as performances from Opera Australia and the Australian Ballet. Each group offers a delightfully high-class experience – so don your best attire for a classy night out in the state’s capital. Not only does Sydney host a wide variety of well-known music acts, the city is also a breeding ground for talented independent artists. If you’re staying in the capital, there will be no shortage of gigs, concerts and performances to choose from. Sydney is also a go-to destination for international touring acts. 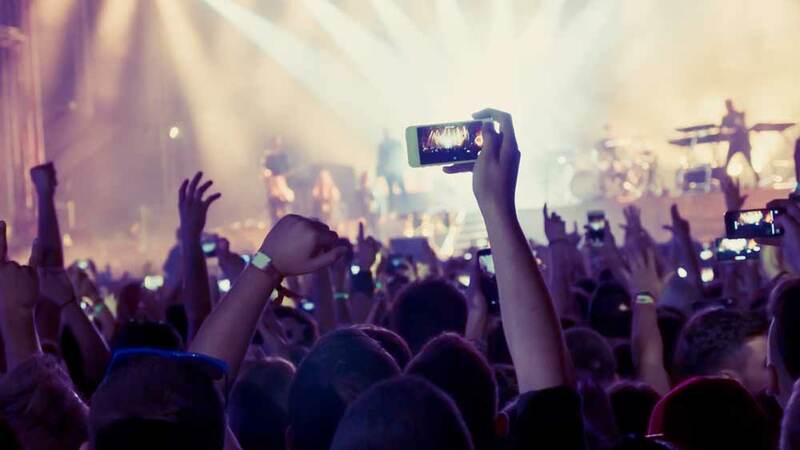 Once you have experienced your fair share of underground gigs, treat yourself to a ticket from a worldwide superstar. With such a diverse offering, you’ll find something that is music to your ears, regardless of your tastes.